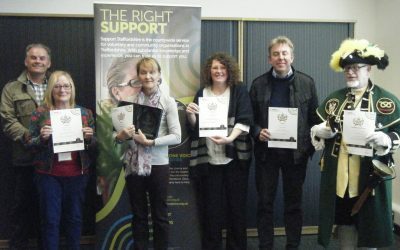 News from Headway House and Headway North Staffordshire. Sarah wins Stafford Volunteer of the Year 2017! ‘You Raise Me Up’ was the song chosen by Headway North Staffordshire to depict the journey for anyone having suffered a brain injury and the fight to regain independence. 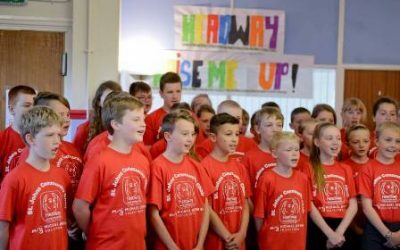 St John’s Community Choir will be visiting Headway to do a one-off performance of their newly recorded song You Raise Me Up. The proceeds from the event and CD sales will be going to Headway North Staffordshire. Headway North Staffordshire was highlighted in Melbourne at the World Congress of Neurological Rehabilitation in May 2012 as an example of developing a partnership between health services and community re-integration for people following brain injury.